Marietta Book Works is the publishing arm of Rob Mahan Books. Rising from the metaphorical ashes of a one-man-and-two-dog furniture company, Marietta Book Works continues the tradition of pride in craftsmanship and introducing the world to lasting works created with hands directed by the power of imagination. 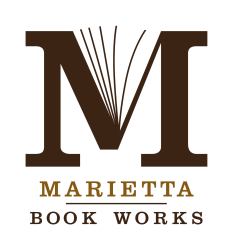 An Irish Miracle by Rob Mahan is the first work to be published by Marietta Book Works. It’s the story of Dillon and Alastar Connolly, young men separated by two generations and searching for their places in the world. From an Ohio farm to western Ireland and from the 1940s to present day, their journeys take them through peaceful countryside and personal challenges. The paths of the two young men cross in surprising and touching ways, never far from the land and the horses they love.